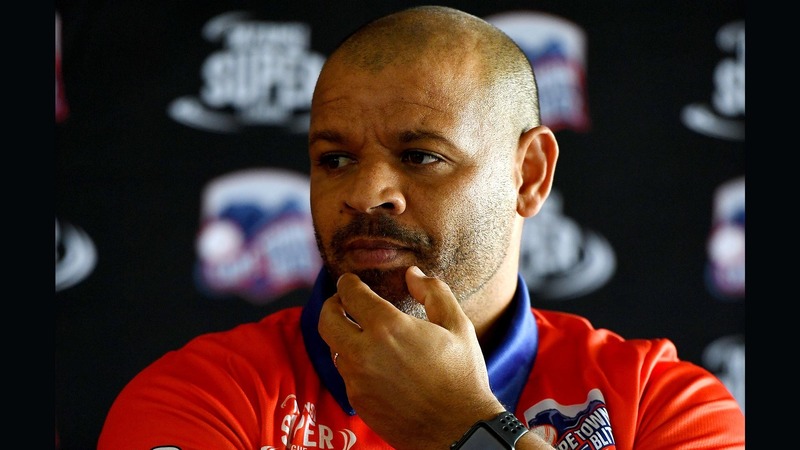 Cape Town Blitz head coach Ashwell Prince believes there will be no added pressure when his side hosts the inaugural Mzansi Super League Final at PPC Newlands on Sunday, December 16. The Blitz secured the rights to host the Final by finishing the round-robin phase of the competition at the top of the standings. They will play the winner of the qualifier match between the Jozi Stars and Paarl Rocks. "I don't think it [hosting the Final] adds more pressure because a final brings its own pressures, whether it's at home or away," he said. "A lot of them [our players] have played in big finals before, be it for their countries or franchises around the world, so there's a lot of experience coming into the match and obviously we will unpack that just before the game. "We will make sure that we are able to talk about things that might come up during the game so that everyone can be at ease with playing in a big match like this," he added. Cape Town Blitz allrounder Andile Phehlukwayo stated that it was fitting that the Mzansi Super League comes to an end at the same venue where it started. "Playing in a home final is a pressure we like and having the final at PPC Newlands, in front of the Blitz Brigade is unbelievable. This is where the tournament started and for it to end here is really exciting for everyone," he stated. Cape Town Blitz will host either Jozi Stars or Paarl Rocks in the Mzansi Super League Final on December 16 at PPC Newlands. Tickets for the match are available at Ticketpro or at the PPC Newlands ticket office.